Attorney Eisenberg has a B.A. from the University of Connecticut, a Master of Public Administration from the George Washington University, and her J.D. from the George Washington University. Attorney Eisenberg has practiced law since 1995, and exclusively, family law, since 1996. Prior to returning to her home state of Connecticut in 1995, she lived and worked in Washington, D.C. for several years. 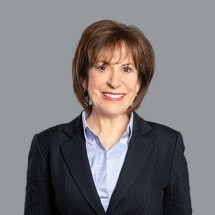 There, Attorney Eisenberg primarily worked for the U.S. Government Accountability Office where she directed congressional policy studies and program evaluations of U.S. Department of Education programs and federal programs affecting children and families, including Head Start, child support, day care, and others. She also worked for the Small Business Administration as an internal investigator of Small Business programs. In addition, she previously taught high school history in Hartford, CT.
She serves as a Special Master in the Hartford, Rockville and Middletown Family Courts. Attorney Eisenberg is a member of the Connecticut and Hartford Bar Associations. In addition, she is a member of the International Association of Collaborative Professionals and a founding member of the Connecticut Collaborative Divorce Lawyers Group. She is a member of the Glastonbury Rotary Club. Senior Inspector, United States Small Business Administration, Washington, D.C.
Project Manager, U.S. Government Accountability Office, Washington, D.C.
Attorney Eisenberg has been designated a Connecticut Super Lawyer annually since 2011.